Prepare to be knocked out by this compilation of hip-hop heavyweights sharing tracks with the industries up and comers. Featuring tracks produced by Black Milk, Buckwild, Analogic, 9th Wonder and M-Phazes (to name a few) the album definitely has something for everyone. Track after track of dream collaborations between the likes of Talib Kweli, Skyzoo, Royce da 5'9, Phonte (Little Brother), Kaze, and Silent Knight keep the energy coming and deliver exactly what the fans want…real hip-hop. 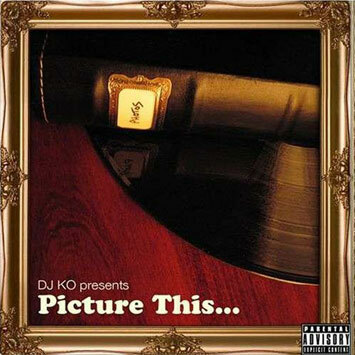 "I approached this album as a hip-hop fan," says New Jersey native, DJ KO. "The way I tried to pair up the artists and producers in a strategic way. Hopefully that dynamic will make people think," he says. With 29 artists, and 9 producers on the project, the music is bound to raise some eyebrows and deliver hip-hop a much-needed shot in the arm. The result is a tribute to hip-hop's past, present, and future. Veterans like Diamond D, OC, and Ed OG bring back the past, while lyricists like Talib Kweli, Elzhi (Slum Village) and Royce da 5'9 represent today's hottest performers, and newbies like Skyzoo, Superstition, and Kaze set the bar for what's to come.